AAM’s Advisory Board is composed of accomplished experts who will provide innovative advice and dynamic perspectives to the AAM Board of Directors (Board). The Advisory Board was formed to provide insights, industry outlook, trends and competitive views to support AAM’s planning and initiatives. The Advisory Board meets twice a year prior to the Board planning sessions. Joe is the Chief Sales and Marketing Officer for Audit Analytics, he is responsible for developing and executing the company's overall sales and marketing strategy. 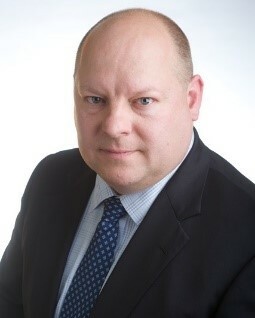 Since 2003, he has worked with leading accounting firms, law firms, financial institutions, corporations and regulators in the US, Canada and Europe to provide research on market share and disclosure trends in accounting quality and risk. Prior to joining the IVES Group and Audit Analytics, Joe spent six years with Aprisma Management Technologies, a leading provider of network and systems management solutions. Joe was a senior business marketing manager and leveraged his technical and business background to drive global product sales. Prior to Aprisma's spin off from Cabletron Systems, Joe was a program manager within Cabletron's software engineering organization and the product manager for Cabletron's element management software application. Joe has a Bachelor of Science degree in Business Administration from the University of New Hampshire. Joe and his wife Maggie and their five children live in New England. Daniel is editor-in-chief of Accounting Today (AT), where he is responsible for the overall editorial direction of the publication and its related brands, including Tax Pro Today. 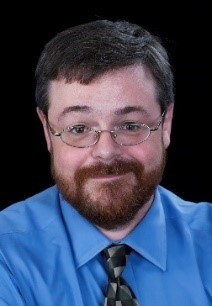 He has been with AT for over two decades, previously serving as managing editor. He has also served as a business editor for the New York Daily News Express, as a production editor for The Wall Street Journal Europe in Belgium, and as art director for International Media Partners. A graduate of Georgetown University, he is also the author of five novels and a guidebook to New York City. 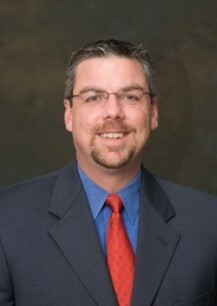 Mark is Executive Vice President – Firm Services for the American Institute of CPAs. He leads the Private Companies Practice Section (PCPS), Firm Relationship Management, Small Firms, Diversity & Inclusion, Young Member Initiatives, Technical Hotline and Center for Plain English Accounting. His teams build and manage firm relations with all size firms, promoting awareness and value, including advocating for CPA firm success and ongoing relationships with public accounting influencers. His team creates innovative programs and engagement strategies to engage a diverse pipeline of current and future CPAs. He frequently speaks on CPA issues around the United States. Prior to joining the AICPA, Koziel served three years as Director of Media Planning for a political consulting firm after finishing his twelve-year public accounting career in a variety of accounting, auditing and consulting roles at a large local accounting firm in Buffalo, NY. Koziel was an active member of the Buffalo Chapter of the New York State Society of CPAs. He was one of the founding members of the Young CPAs committee and served as Chair for two years before being appointed to the Buffalo Chapter Board and serving as President for the 2003-2004 Fiscal Year, one of the youngest President's in the history of the Buffalo Chapter. Koziel was named in the top 10 of the Top 100 Most Influential People in Accounting by Accounting Today in 2015 and has appeared on the Top 100 list since 2008. He has also been named as one of CPA Practice Advisors' 25 Thought Leaders 2012 through 2016. Koziel was also named to the Global Accounting Power 50 list by The Accountant Magazine and the International Accounting Bulletin in 2014 and 2015. Koziel graduated with a Bachelor of Science degree in Accounting from Canisius College in 1991. He holds the CPA in NC and is a CGMA.